Click... What is a Cult? Alabama’s Roy Moore, the Republican Party’s nominee for Chief Justice of the state Supreme Court who in 2003 was removed from the same post after he refused to move a Ten Commandments monument he installed in the courthouse rotunda, spoke to Steve Deace last week to register his disapproval with the Supreme Court’s rulings on Arizona’s anti-immigrant SB 1070 and the health care reform law. He maintained that the Court, by striking down parts of SB 1070 while upholding the Affordable Care Act, have given undocumented immigrants more rights than citizens. “I’m curious what would happen if an Arizona policeman arrests an illegal alien going to a health care facility without a green card and find out that they haven’t paid the individual mandate, are they to be detained or released or what?” Moore asked, even though undocumented immigrants are not covered in the law. “Steve, do we have less rights than people that have no right to be here?” he continued. Moore: Thomas Jefferson in his Bill for Religious Freedom said that would happen, when men presume to restrict your freedom then they will allow false religions to come into your country and it all began when he said ‘well aware that the opinions and beliefs of man depend not upon their own will but follow involuntarily the evidence proposed to their minds that almighty God hath created the mind free.’ You see he recognized that God gives him that freedom of conscience and when men come in and try to restrict it what happens is false religions come in and that’s what’s happening in our country today. Christians are being persecuted while people of a religion foreign to our country are doing what they want. Armstrongism: The doctrines and religious movement originating with Herbert W. Armstrong (1892-1986), who founded the Worldwide Church of God (WCG). Armstrong rejected such essential doctrines of evangelical Christianity as the Trinity, the full deity of Jesus Christ, and the personality of the Holy Spirit. Armstrong taught British Israelism and believed that worthy humans could eventually “become God as God is God.” Teaches salvation by works predicated on Sabbatarianism, tithing (20-30%), and keeping the Old Testament feast days and dietary laws. Under the leadership of Armstrong’s successors, Joseph W. Tkach and his son Joe Tkach, the WCG has undergone a radical doctrinal transformation. Scores of splinter groups, such as the Global Church of God and the United Church of God, continue to teach various forms of Armstrongism. Buddhism: World religion based on the spiritual teachings of Siddhartha Gautama Buddha. There are a number of versions or sects of Buddhism generally teaching paths to Nirvana (enlightenment or bliss) though the four noble truths (recognizing existence and source of suffering) and the eightfold path (correct understanding, behavior and meditation). Some variations of Buddhism include traditional Theravada schools of India, Mahayana Buddhism, which became very popular in China and Japan, and Tibetan Buddhism (Lamaism) in Tibet. Two more recent forms that have had great influence in America are Zen and Nichiren Shoshu Buddhism. Christian Science, Mary Baker Eddy, Boston, MA: Officially called Church of Christ, Scientist. Eddy’s teaching heavily indebted to Phineas P. Quimby, a mesmerist. Science and Health with Key to the Scriptures functions as a virtual second canon of Scripture. Views God as infinite Mind, “the animating divine Principle of all that is real and good.” Matter is unreal; thus, so are sickness and death, which are overcome by believing that we are Mind. Seeking medical help is discouraged, frequently resulting in preventable deaths. Christ is “the divine manifestation of God” most fully seen in Jesus, who only seemed to die. The “Holy Ghost” is Divine Science, that is, Christian Science. The orthodox doctrine of the Trinity is rejected as polytheistic. Many New Age ideas have historical roots in Christian Science and related Mind Science groups. Christian Science - Christian or Cult? Church of Jesus Christ of Latter-day Saints, The Mormons, Joseph Smith, Salt Lake City, UT: (Latter-day Saints, LDS, Mormonism) Main body of Mormonism; recognizes Brigham Young as Smith’s successor. Smith claimed that the Father and Son appeared to him and called him to restore the true Church. LDS Church teaches that God the Father was once a man and was exalted to Godhood. God (and his heavenly Wife) begat billions of spirit children, the firstborn of whom was Jesus. Lucifer was the leader of God’s rebellious spirit children. Those spirits who did not rebel become human beings in order to begin process potentially leading to exaltation to Godhood. Jesus, however, became a God while only a spirit. He organized our world and is Jehovah, the God of Israel. He is a separate and subordinate God to Elohim, the Father. A distinction is made between the Holy Ghost, who is a personage of Spirit, and the Holy Spirit. The latter is a divine energy, force, or spiritual essence that fills the universe and is used by all three members of the Godhead in the exercise and accomplishment of their will. The Church rejects the orthodox doctrine of the Trinity. It also redefines salvation by grace to refer simply to resurrection. Almost all humans will be resurrected into one of three kingdoms of glory, the least of which is far superior to anything known in this life. Entry into the higher kingdoms, and one’s rank there, depends not only upon the atonement of Christ, but also upon one’s good works. Achievement of the highest potential within the highest kingdom—Godhood—requires complete “obedience to all the laws and ordinances of the gospel.” The Bible, Book of Mormon, Pearl of Great Price, and Doctrine and Covenants are all considered scripture. Publishes Church News and Ensign magazine. Church of Scientology, L. Ron Hubbard: Humans are immortal spiritual beings whose experience extends beyond a single lifetime (reincarnation), and whose capabilities are unlimited, though presently imprisoned by matter, energy, space, and time (MEST). Salvation is the recovery of spiritual freedom, ability, independence and serenity, including freedom from the endless cycle of birth and death (reincarnation), and full awareness and ability independent of the body, i.e., being “able to control matter, energy, space, and time.” These god-like powers are achieved through auditing, a process whereby “engrams,” (the mental recordings of past moments of pain and unconsciousness), and other barriers to such states are removed, abilities are regained, and greater awareness achieved. Auditing can last for years and may cost hundreds of thousands of dollars. Teachings are also advanced through affiliated business management companies such as Sterling Management Systems, the drug prevention program Narcanon, and in public schools though Way to Happiness. The writings and recorded spoken words of L. Ron Hubbard (contained in over 500,000 pages of writings and over 2,000 tape-recorded public lectures) constitute the scripture of the religion, his book Dianetics, the Modern Science of Mental Health being foundational. Scientology publishes several magazines including Advance, High Winds, and Source; also several newspapers and newsletters including The Auditor, Tech News, KSW News and the FSM Newsletter. Scientology has a history of alleged abuse and illegal activities, and is fighting legal battles in countries all over the world. Feng Shui: A religious “science” for the balancing of Yin and Yang in the environment, discovered or originated by farmers some 3,000 years ago and developed within Taoism. Feng Shui teaches that there is an energy called Qi (or, Chi) flowing throughout the universe, and in this world through lines, sometimes called channels or meridians, to which one must be properly aligned for optimal health, fortune, and quality of life. The position and alignment of structures and objects in one’s environment affects the flow of this energy and one’s own ability to harmonize with nature. Practitioners therefore arrange household and office furniture, design rooms and even whole buildings, their grounds and gardens, etc., to properly align with the flow lines of earth’s energy. They thus hope to improve the balance of nature around them, not only for their own benefit, but for the benefit everyone in the area. Freemasonry: A fraternal order revived in the early 18th century in England, loosely based on associations or guilds of stone cutters (“operative” masons). Freemasonry (“speculative” masons) sought to give philosophical, moral, or spiritual meaning to the lodge, tools, and oaths of the stone cutters. Branches of Freemasonry include the Blue Lodge, York Rite, Scottish Rite, and Shriners. Affiliated organizations include the Order of the Eastern Star (for women), the Order of DeMolay (for boys), and the Order of Rainbow (for girls). Most modern adherents maintain that the organization is not a religion but a club or fraternity promoting high moral values and good works. They believe, therefore, that Freemasonry is compatible with and supplements Christianity and other religions. Critics counter that Freemasonry involves secret blood oaths or curses, and that the writings of respected early leaders (Albert Mackey, Albert Pike, etc.) are replete with occult philosophy and religious doctrine contrary to Christianity. Despite Freemasonry’s promotion and funding of a number of worthwhile, philanthropic endeavors (free Shriner children hospitals, nursing homes, etc. ), many Christian individuals and churches have condemned Freemasonry or warned of elements that they believe are contrary to Christianity. These churches include the Presbyterian Church of America, Southern Baptist Convention, Episcopal Church, Christian Reformed Church, Church of the Nazarene, and Lutheran Church (Missouri and Wisconsin Synods). Gnosticism: From the Greek word gnosis (knowledge). Salvation comes through secret knowledge. A diverse belief influenced by Greek philosophy and similar to forms of pantheism, Gnosticism generally taught that matter was evil and spirit was good. Forms of Gnosticism affected early Christianity. One Gnostic heresy taught that because matter was evil, Jesus could not have come in the flesh. Many New Agers regard Gnostic Christianity as the more enlightened form of Christianity. Hinduism: The major world religion that originated from the ancient religions of India, which originally embraced polytheism. As a more unified world religion, Hinduism teaches pantheism; the ancient gods (especially the triad of Brahma, Vishnu, and Shiva) are commonly interpreted as representations of the various aspects of the divine (Brahman). Human beings progress to the ultimate realization of their oneness with Brahman (often called Nirvana) through reincarnation according to the law of karma. Some of the concepts of Hinduism are incorporated, modified, and expanded upon in the New Age Movement. Local Church, Not the Local Baptist Church of New Testament: Watchman Nee, Anaheim, CA: Controversial movement begun in China in the early 1920s by Ni To-sheng (Watchman Nee). Growth and controversy developed during the administration of their second leader, the late Witness Lee, who moved to America in 1962 founding Living Stream Ministry. Among issues drawing criticism from evangelical Christians is the Local Church's use of the term “mingling” to describe the relationship between God and believers (i.e., Christians become both divine and human like Jesus). Some evangelicals have also charged that the church compromises the Trinity doctrine by confusing the Persons of the Holy Spirit and the Son in a way similar to modalism. The organization's exclusivity has also come under fire. According to Lee, each city can and should have only one church. Denominationalism is seen as of the Devil. According to critics, the effect is that Lee-led local churches, usually called by the name of their cities (e.g., the Church in Anaheim or the Church in Chicago), become the only true expressions of the Body of Christ. Thus, according to former members, all other churches or denominations are seen as being outside the will of God or not true churches at all. The Local Church has also gained a reputation for threatening legal action to prevent unfavorable public evaluation of its movement. Even Christian critics have been targeted, adding to the evidence that they do not consider believers outside their movement to be true or obedient Christians (1 Corinthians 6:1–8). Roman Catholicism: Diverse worldwide religious tradition that officially looks to the Pope and his predecessors/successors as God’s human leader of world Christianity. Because of its size and scope—both in membership (about a billion people worldwide) and geographically, the actual beliefs held by devout Catholics are widespread and eclectic. Catholicism has been influenced by liberation theology, especially in parts of South America. In Africa, the Caribbean, and elsewhere, attempts have been made to blend Catholicism with spiritism, creating a type of Catholicism with occult elements. In addition, since the 1960s there has been a small but significant element of charismatic Catholics who have been influenced by the larger charismatic movement. A small percentage of Catholics are doctrinally evangelical, and others (such as Matthew Fox) are part of the New Age movement. As a whole, however, the differences between Roman Catholicism and Protestantism are still seen most clearly in the issues of the Reformation. The 16th century reformers distinguished themselves from Catholicism in two key ways. First, they saw the Bible as the sole foundation for authority (sola scriptura) rather than the Pope, church dogma or tradition. Second, the reformers taught salvation by “grace alone” (sola gracia). They also insisted that sola gracia could be faithfully maintained only by understanding the gospel to be the message of a free pardon and righteous standing with God through “faith alone” (sola fide) in the imputed righteousness of Christ. The Roman Catholic Church claimed (and still claims) to affirm sola gracia, but anathematized sola fide, teaching instead that grace is received and maintained by a combination of faith plus works (religious rites, sacraments, or human endeavor). Satanism: Represented by two separate groups, secular and traditional Satanists. The secularists do not believe in in a literal, personal, spiritual being called Satan, but rather consider Satan to be an archetype or symbol that represents the ideas of Satanic philosophy. Various satanic ideals include self-interest, indulgence, an anti-herd mentality, and an emphasis upon rational self-interest. Examples of modern Satanism include The Church of Satan founded by Anton LaVey and now led by Peter Gilmore as High Priest, Michael Aquino's Temple of Set, and Lord Egan's First Church of Satan. Traditional Satanism, which involves the worship of the Satan of the Bible through a perversion and parody of Roman Catholicism, appeared in the fifteenth century coming out of the Inquisition. Contemporary expressions of traditional Satanism are rare, and popular elements of it, including the testimonies of alleged former Satanists and Satanic Ritual Abuse have been discredited. Unification Church, Sun Myung Moon, New York, NY: Full name, Holy Spirit Association for the Unification of World Christianity. Jesus brought only spiritual salvation; another “savior” is needed to fulfill Jesus’ mission. Moon is that Messiah (or Christ) and “Lord of the Second Advent.” This group has over 200 front organizations. Moon’s Divine Principle is scripture. Jehovah’s Witnesses; Watchtower Bible and Tract Society, Charles Taze Russell, Brooklyn, NY: Satan is the originator of the idea of the Trinity. The Father is the supreme God whose real name is Jehovah. Jesus is a created being known originally as Michael the Archangel; he is “a god,” not Jehovah. Jesus only rose spiritually, not bodily, from the dead. The Holy Spirit is the impersonal active force of God. Only the anointed class (or little flock) numbering 144,000 will go to heaven, while faithful “other sheep” will live eternally on a paradise earth; the lost will cease to exist (annihilationism). Publishes the Watchtower and Awake! magazines, the New World Translation of the Holy Scriptures (their own version of the Bible), as well as numerous books. Originally called International Bible Students, followers today are called Jehovah’s Witnesses. Word-Faith Movement: A movement based in large part on the teachings of E. W. Kenyon (1867-1948) that became a distinct movement under the teaching and leadership of Kenneth Hagin, a Pentecostal faith-healing evangelist. God himself is said to have created the world and to do all that he does by speaking words of faith. Man’s creation in God’s image is commonly understood to mean that human beings are “little gods” capable of speaking creative words of faith. The fall of Adam into sin is interpreted as having transformed Adam (and all unredeemed people) into Satan’s nature and as having transferred Adam’s godhood or dominion on earth to Satan. Jesus is believed to have become man in order to restore human beings to godhood as renewed “incarnations” of God. He is said to have done this by dying spiritually as well as physically on the cross, suffering in hell, and then while in hell becoming the first person to be “born again,” before finally being raised from the dead. Those who believe in Jesus are supposedly empowered to speak words of faith again, especially in order to obtain bodily health and financial prosperity (both of which are supposedly guaranteed as present possessions in the Atonement). . In contrast, traditional Christian theology teaches that God and God alone can bring about whatever he chooses; that man was created to reflect God’s character and to implement his will, not to be little gods; that man is fallen but not Satanic in nature; that God is still in control of this world; that Jesus Christ alone is God incarnate; that Jesus died physically, not spiritually, to redeem us; that Jesus therefore was not born again; and that health and prosperity are promised to believers in the future resurrection. In the meantime God heals and prospers people providentially and miraculously when and as he sees fit. Most of the followers of the Word-Faith teachers are Pentecostals and other evangelical Christians. 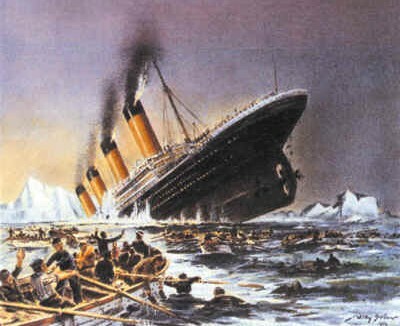 On April 15th, 1912 --1,500 people died in the icy waters of the Northern Atlantic. The Titanic was considered one of the safest ships in the world. 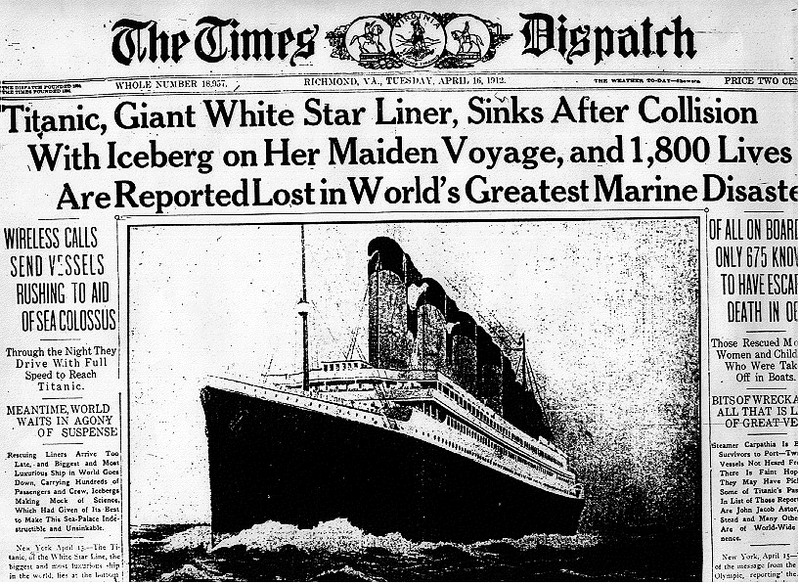 Unbeknownst to it's trusting passengers, the Titanic's maiden voyage would also be it's last. Likewise, the Titanic is a perfect example of religion. BILLIONS of people are going to burn in Hell because Satan has blinded them with his lies! I say with all kindness, religion CANNOT take you to Heaven. In fact, religion is the worst thing that ever happened. The Truth can be dealt with, but a lie cannot. Christian Church (Church of Christ) EXPOSED! Should We All Get Together? The Church of Mary-An Alternative for Non-Catholics? Kundalini Yoga: Relaxation or Occult? Pentecostal teachings are in correlation to Kundalini Yoga! What Really Happened On The Day Of Pentecost? What Does Scripture Have To Say About The Modern Tongues Movement? Can a Catholic Be a Christian? Why Is Roman Catholicism So Popular? The Sickening Truth About Roman Catholic Priest's! What is their source of Authority? The Ouija Board: Is it Really a Harmless Game? A Brief Word Study on "Witch/Witchcraft/Witchcrafts"
Do I Believe Satan Exists? Yup!